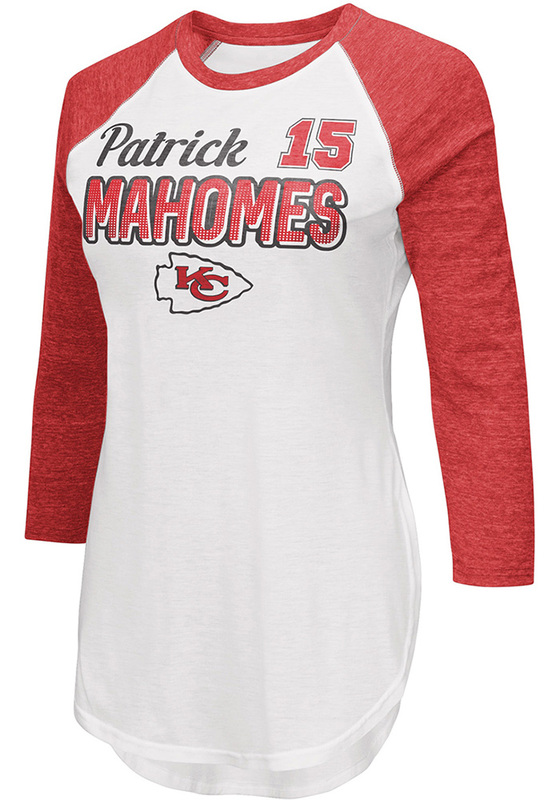 Represent your favorite player in this Kansas City Chiefs White Tailgate 3/4 Raglan Patrick Mahomes Long Sleeve Player Tee! 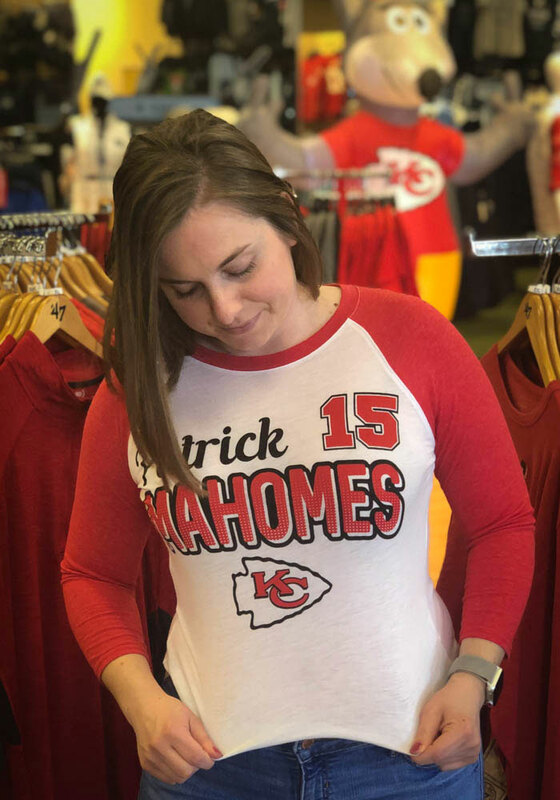 This Player T Shirt features a screen print player graphic, so everyone will know you cheer for KC Chiefs, Patrick Mahomes! This is the perfect Chiefs Player Tee for wearing on game days. Go Chiefs!